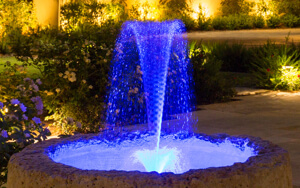 Learn techniques and best practices for lighting specific spaces in your landscape. This program guides you through the design process and shows you how to get started in creating your lighting portrait. Complete all courses below with a score of at least 80% and you will receive an FX Certificate of Lighting Design. 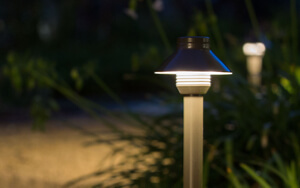 Up Lighting is the most popular technique for outdoor lighting. 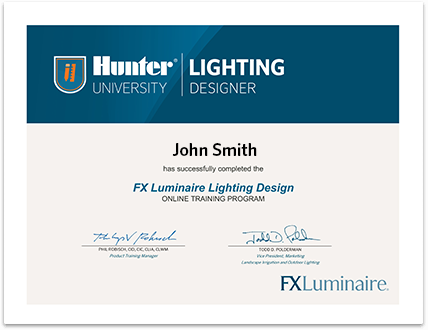 This course walks through the design process and shows you how to use FX Up Light fixtures in your next job. 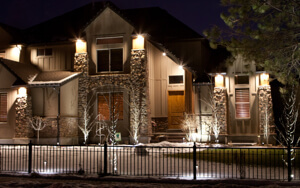 Downlighting is the most natural affect that you can create in your landscape lighting. This training will outline steps and techniques that you can use in your next project. 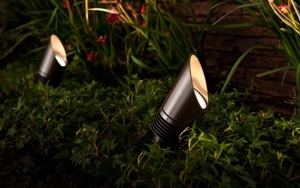 Pathways are one of the most favorite areas to install landscape lighting. This course will outline three types of fixtures to light up pathways including up lights, down lights and standard path lights. 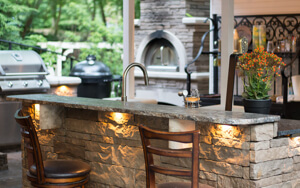 Lighting hardscape areas is a common design consideration. This course walks through the design process and shows you how to use FX fixtures in your next job. Lighting trees is a common practice in most landscapes. This course walks through the design process and shows you how to use FX fixtures in your next job. 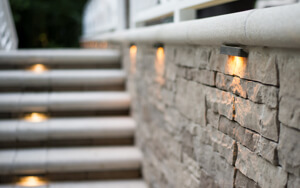 Lighting stairs is extremely important to provide safety for moving through the landscape. This course shows you some techniques that can be used in your next job. 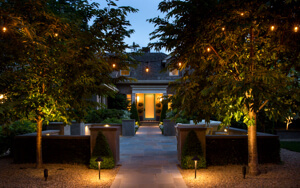 The perimeter of a property is an important consideration when developing your lighting plan. This course shows you how you can add a sense of space, dimension, and comfort by properly lighting the perimeter in your next job. 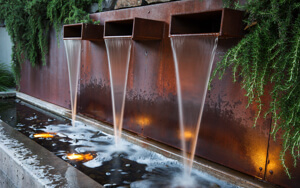 Specialty items in the landscape often need extra attention in your design. In this course, we discuss techniques you can use to highlight boulders, sculptures, or other features. Expanding the living space to the outdoors is the focus of this course. 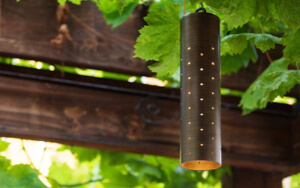 You'll see examples of innovative ways to illuminate structures, and outdoor task areas. 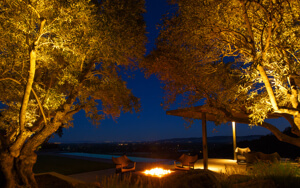 This course will show you examples of how to light fire pits, fireplaces, and water features.